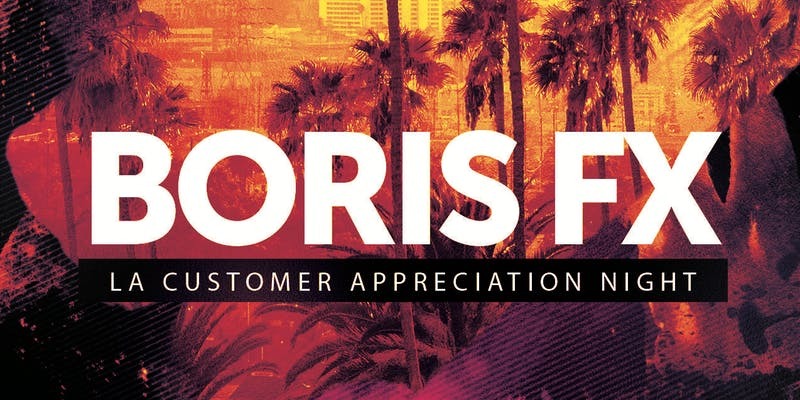 Join the Boris FX team for an exclusive LA customer appreciation night. We’ll be serving up good food, good drinks, and good times. Beer, wine & hors d’ouevres! Come check out the 2019 lineup of Sapphire, Mocha, and Continuum; meet the product managers, get one-on-one demos, and have your questions answered. Plus, you’ll be automatically entered into VFX giveaways! A special thanks to our friends at RFX for partnering with us to make this event possible. Parking is available on site. Please RSVP by February 25, 2019.